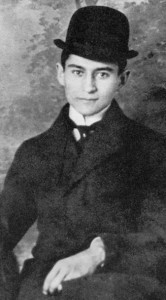 Franz Kafka (1883-1924) was born near Prague to Yiddish-speaking parents, the grandson of a shochet (kosher meat slaughterer). His Jewish education culminated with his bar mitzvah, after which he went to the prestigious Altstädter Deutsches Gymnasium. He enrolled to study chemistry in university, but quickly switched to law. 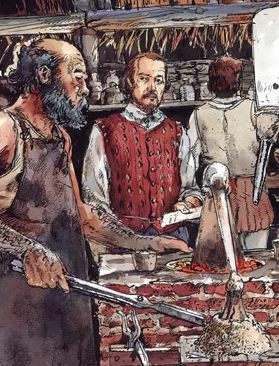 After graduating, he worked for various insurance companies – a job that he despised, but which allowed him to make a living. The little time that he had off work he would spend writing. Kafka composed dozens of stories, novels (most of them unfinished), essays, letters and diaries. Ninety percent of these he burned. In his will, he instructed his friend Max Brod to destroy the remainder of his writings. Brod ignored the request, and published them instead. Thus, Kafka was virtually unknown in his own lifetime, but became hugely famous after his death. It is believed that there are still thousands of unpublished Kafka works. He is considered by many to be the greatest writer of the 20th century, and some of his writings have been ranked among the most influential of that century. He has inspired the adjective “kafkaesque”, and has an asteroid named after him. Besides writing, Kafka was an avid swimmer, hiker, and rower, studied alternative medicine, and was a vegetarian. After once seeing a Yiddish play, he immersed himself in Jewish study. In addition to Yiddish, Kafka spoke German, Czech, French, and studied both Hebrew and classical Greek. Towards the end of his life he intended to immigrate to Israel. This wish did not come to be, as Kafka succumbed to tuberculosis at a young age. His three sisters perished in the Holocaust. For what would be his 130th birthday today, he is honoured with a Google Doodle. This entry was posted in Writers & Thinkers and tagged Asteroid, Bar Mitzvah, Chemistry, Classical Greek, Czech Jews, Czech Republic, French, German, Google Doodle, Gymnasium, Hebrew, Holocaust, Insurance, is franz kafka jewish, is kafka jewish, Israel, Kafka, Kafkaesque, Law, Prague, Vegetarian, Yiddish on July 3, 2013 by Jew of the Week.